Enter your doodle in the National Doodle Day competition! Today I want to “draw” your attention to a very important event this week. 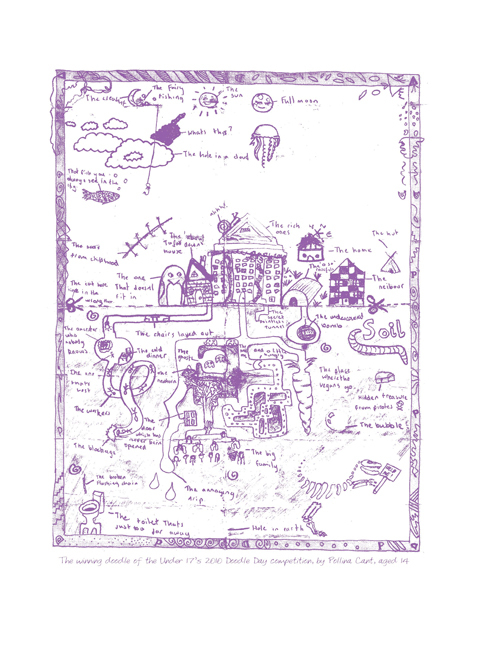 Those of you using a Dodo Pad and/or Acad-Pad diary will notice this Friday 11 February is National Doodle Day! Dodo Pad is very proud to support the charity Epilepsy Action to raise money to benefit those whose lives are affected by epilepsy. This week (commencing 7 Feb) in your Dodo Pad or Acad-Pad diary there’s an entry form to submit your doodle to the National Doodle Day contest for your chance to win prizes! For more entry forms, click here for the Doodle Day website and click on their link to download more entry forms. Pollina Cant's 2010 winning doodle opposite National Doodle Day 2012! So sharpen those pencils and send in your doodle entry for your chance to win! Schools, businesses, groups and individuals can get involved, click here to register your interest and show your support of National Doodle Day by submitting your doodles. And while you’re at it, have a look at www.nationaldoodleday.co.uk to vote for your favorite celebrity doodle! Hurry to submit your doodles, the closing date for entries is Friday 4th March, 2011! Don’t miss out on this chance to have your artistic talents recognised for the benefit of a very worthy charity. And for those of you who are sadly without a Dodo Pad diary this year, you can remedy your Dodo-less situation AND have ten percent of the net value of your order donated to National Doodle Day. Click here for more details and scroll down for your special promotional code. Many thanks to all the National Doodle Day participants! Your support is greatly appreciated. Toodle-oo for now and Happy Doodling!